In preparation for a public program dedicated to the subject, the New Museum is examining the terms that have regularly (and in some cases, more speculatively) come to be associated with social practice in order to think about how, to what end, and on whose terms engagement with communities outside of art takes place. Six Degrees readers are invited to respond to an open call for glossary entries on the working word list below (or other words the reader might like to put forward), with select submissions being published here in late April. 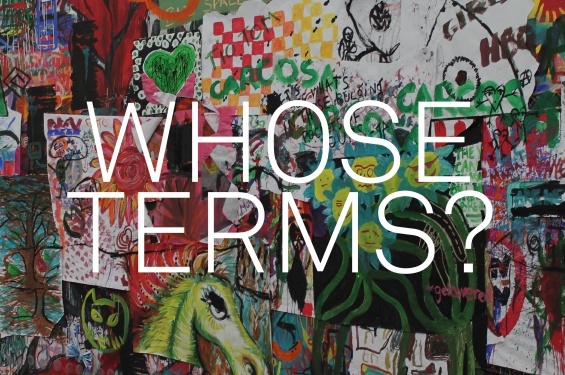 These entries will build upon the list of terms that invited guests will present on at the symposium “Whose Terms? New Perspectives on Social Practice” held on Saturday April 12, 1–5 p.m. Speakers on the day will address terms including Capital, Class, Criticality, Empathy, Material, Performance, Privacy, and Real. Readers wishing to submit responses are encouraged to stake out a clear position in relation to their selected term, and with respect to its operation(s) within or alongside social practice. Entries should—in 500 words or less—craft a distinct line of argument in relation to specific case studies in art, activism, theory, history, pedagogy, curating, or other disciplinary contexts. Submissions will be accepted at sixdegrees@newmuseum.org on Thursday April 24. Publication is at the discretion of the Six Degrees editor and submissions will go through a light editing process prior to posting. The impulse behind this project is to initiate a partial glossary of terms that is reflective of a variety of distinct and robust positions on the modalities of and around social practice. It is expected that the final collection of glossary entries will be uneven, contradictory, and have variegated tonality via its assemblage of disparate voices and priorities. “Whose Terms? A Glossary for Social Practice”—and the related symposium on April 12—resonates with and runs alongside aspects of “Paweł Althamer: The Neighbors,” an exhibition on view at the New Museum through April 12. [Update: the resulting short-form “glossary entries” on terms associated with social practice can be found in a two-part series: the first part here and the second here.